James Paat, CEO, InXite Health Systems A significant shift in the healthcare landscape has been taking place over the course of the last few years, with a focus on transitioning away from fee-for-service models to value-based care. The growing trend aligns the desired outcomes of providers and payers while substantially improving the overall health and well-being of patients. 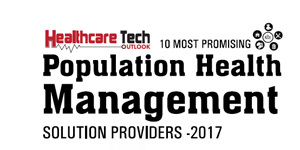 Though the majority of providers are embracing the evolution of healthcare toward value-based systems, adoption throughout medical practices across the country has been slow. Constraints exist as it relates to the resources required in terms of time and capital, as well as fears over disruption of patient care and the operation of individual practices. Columbus, Ohio-based InXite Health Systems has taken on the challenge of assisting healthcare providers in moving to value-based care models. James Paat, CEO, explains, “InXite has developed programs and solutions to overcome challenges in shifting to a value-based care model for individual practices, payors, health systems, and federally qualified health centers. We offer a comprehensive solution, not simply a product, to combat the complexities of the evolving requirements of healthcare.” Backed by more than 30 years of experience in solving large-scale data sharing and information management, InXite leverages proven technologies, techniques, approaches, and business models to achieve patient-centric and team-oriented solutions for effectively and cost efficiently transitioning to value-based care models. The company’s goal is to be the leading provider of technology-based assistance for providers in need of improving patient outcomes across the board. InXite has a robust solution—the InXite SmartCare System—designed to help healthcare providers identify high-risk patients and create actionable plans and workflows to improve the health and well-being of those patients. Healthcare costs skyrocket when patients have poor medication adherence, miss follow-up appointments, or otherwise stray from a plan of care. "Ideally, if a patient follows the provider directed care plan, their outcomes should improve. The problem is that once the patient leaves, the provider has no way to know if the patient is following the care plan," says Paat. To compound the problem, a high-risk patient often has several providers who each have separate care plans for improving specific conditions. The InXite SmartCare System creates a single, unified, shared care plan for the patient and the patient’s care team. "Our solution allows providers to look at patients not through a single provider’s lens, but holistically across the patient’s multiple providers to improve care coordination, reduce duplicate efforts and decrease errors,” adds Paat. The company gathers data on a patient and streamlines it in a way that offers ease of access, the development and management of tasks, and reportable outcomes that ultimately benefit the provider and the patient alike. The system includes all applicable touch points—the pharmacy, the hospital, the payer, and the primary care physician— in an effort to track and measure patient progress and success. Additionally, InXite provides ‘Patient Navigators’ who serve as the liaison between the patient, provider, and care team. "If a patient is not following provider directed care plan, the InXite system alerts appropriate individuals so that a proactive intervention can be made. “InXite’s advanced data interoperability approach and our 'connect once, reach many data-as-a service model' significantly improves the time, cost and effort with getting relevant data on patients," says Paat. "Advanced Reporting can be facilitated directly through the InXite platform (which is analogous to a Patient-centered EMR) and it is designed as an open system so that we could easily add new functionality and third party apps as needed." Paat states that InXite has had the opportunity to work with a variety of clients to help them move toward value-based care. “Filling the gap between a doctor’s visit and when the patient goes home revolves around task management, mobile applications, predictive analytics, unified pathways, and care plans. Each part of our solution is critical for making sure patient outcomes are improved.” Through strategic platforms, like medical therapy management and chronic care management, providers are given a complete solution that requires minimal time and effort to implement and integrate into current systems. One of its clients, a healthcare services provider specializing in delivering care to patients with mental illness, behavioral health and development disability issues, is using InXite’s SmartCare platform for improving patient outcomes of this challenging patient population. The platform automatically records results and renders it into the InXite’s Patient Need Score which allows the provider to better understand the needs and risks of the patient. InXite’s distinct features also deliver weekly reminders to the patient with regard to appointments and medications, while sending alerts to Patient Navigator when items on the care plan are not adhered to. “Quality reports are generated and rendered into the InXite Quality Score that allows the company to analyze how well they are meeting their targeted quality metrics,” points out Paat. Strengthening its efforts to deliver more value, InXite works with select partners and providers to develop custom applications that target high risk patient groups. The company has partnered with Ohio University to form the Value-based Care Center of Excellence (CoE) where cross disciplinary work groups made up of payors, providers, specialists and vendors work together to develop best practices and pathways for improving targeted patient populations and conditions. “The CoE promotes needed collaboration between healthcare stakeholders and the pathways developed can configure automated tasks within our SmartCare Platform,” says Paat.